Thursday, Thursday, Thursday... never could get a handle on Thursdays. I certainly enjoy them, as it means we're getting close to the weekend, but we're obviously not quite there yet. So, it's like, "Woo! Almost-weekend-eve!" Ah well, we'll get there in time. But before then, we need to make your gaming tables look good. Today in the Terrain Corner we have: Final Days for Kongo Afrika Kickstarter and Deep-Cut Studio launches unique service to make game mats with hexes or grids. 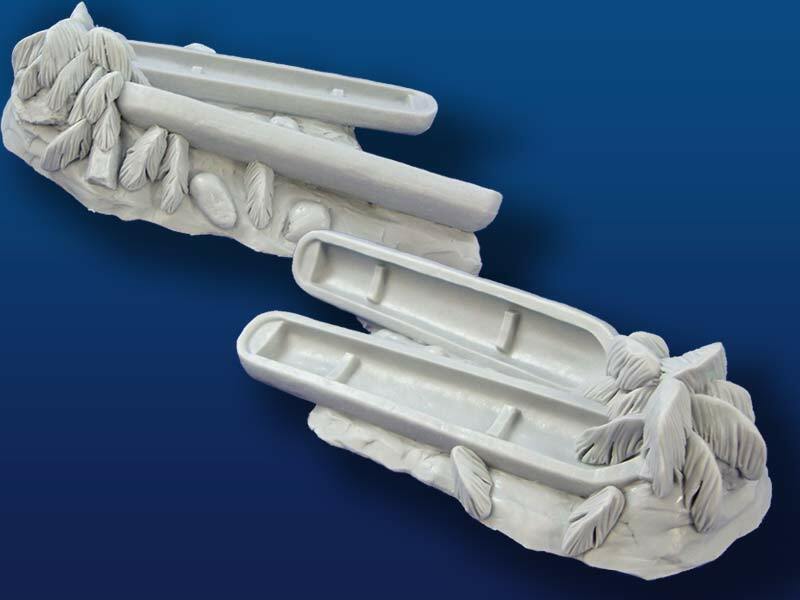 We are filling out our campaign with village pieces such as the pair of beached canoes shown above, priced at $20USD. Canoes are each 5 1/2 inches (14cm) long, with the total piece measuring 7 inches (18cm) in length. Our campaign ends at Midnight Eastern Time (US) on Monday, December 4. Those who pledge at least $100 continue to rack up additional products. Additional Add-Ons will be released as well. Game mats with any size hex or square grids - just a few clicks away now. 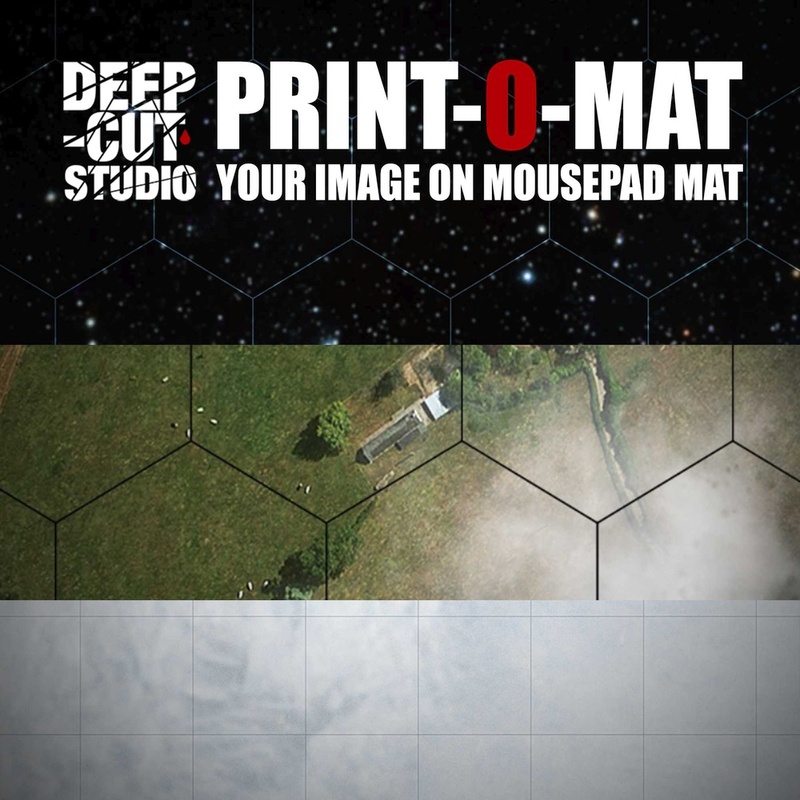 We just improved our Print-O-Mat, a custom game mat tool, which allows you to make a mousepad playmat out of any picture, with new features. Now you can easily add any layer of hexes or grids on any image and fully customize it as well. Check this one of a kind feature at www.deepcutstudio.com, THE home for game mats.